Melissa is a non-life actuarial headhunter, with a degree in Management from the University of Aberdeen. Spending her first year in the world of Human Resources, Melissa has joined Bolton Associates to experience the other side of the recruitment world. She enjoys the bespoke approach offered at Bolton Associates and works primarily with the Lloyd’s and London Market. Melissa is enthusiastic about building technically strong and long-lasting actuarial teams while maintaining new relationships within the industry. Melissa works with all levels of actuarial professionals, ranging from graduate entry up to newly qualified. Pamela has around ten years of recruitment experience, placing actuaries solely into the non-life market. 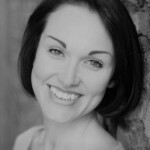 Starting out with Darwin Rhodes before embarking on a career break to pursue a lifelong ambition of attending Drama School, Pamela is delighted to have returned to the fold with Bolton Associates. Pamela’s experience spans the Lloyd’s and London Market as well as the larger Retail insurers, recruiting graduates through to qualified individuals. Very much a people person, Pamela enjoys building long lasting relationships with both candidates and clients alike and prides herself on her consultative approach. Shirley is a highly experienced recruiter, with over 20 years in the non-life actuarial market. She works with the major consultancies and (re)insurers as well as the Lloyd’s and London market operations, at all levels. Before joining Bolton Associates, Shirley had worked at some of the more generic actuarial recruitment firms. She joined to benefit from the more flexible approach that Bolton Associates employs, whilst working as a niche provider to the market. Cathy is an experienced actuarial Headhunter who has been working in the industry for the past 20 years. Her long tenure working exclusively in actuarial recruitment, means she has both a thorough understanding of the market and has built an extensive network. 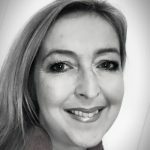 Having worked with a number of clients and candidates Cathy has developed enduring relationships and has access to a wide talent pool within both the UK and overseas markets. Cathy is a Director of Bolton Associates, and enjoys working towards the continued growth and development of the business. 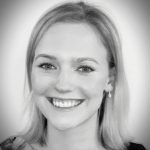 Claire has 11 years of experience within actuarial recruitment formerly at Darwin Rhodes, before a career break to pursue a professional qualification. 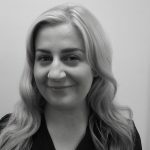 Claire works with a range of levels of candidates and has joined Bolton Associates to enhance the offering on the Analytics, Programming and Development side of the business, alongside Retail and regional insurers. She also assists with traditional Lloyds and London market recruitment. 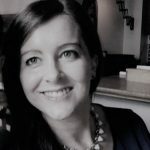 She prides herself on being able to build and maintain long standing client and candidate relationships and as such has enjoyed a volume of repeat business. Claire has a keen interest in property renovation outside work.